The Kokatat Men's Gore-Tex® Icon Rear Entry Dry Suit is guaranteed to be waterproof, breathable and durable. Made in the USA, the Kokatat Men's Gore-Tex® Icon Rear Entry Dry Suit is specifically designed for kayakers, adjustable overskirt with Smoothskin neoprene waistband keeps water out of your cockpit. Features Gore-Tex® socks and relief zipper. The Kokatat Men's Gore-Tex® Icon Rear Entry Dry Suit features a flexible waterproof plastic zipper that is more comfortable than a metal one and because it is located on the back - rather than the front - it is a breeze to put on. A back zipper also keeps more water out of your boat (does not create the funnel effect of front zippers) and is more comfortable if prone on a SUP. 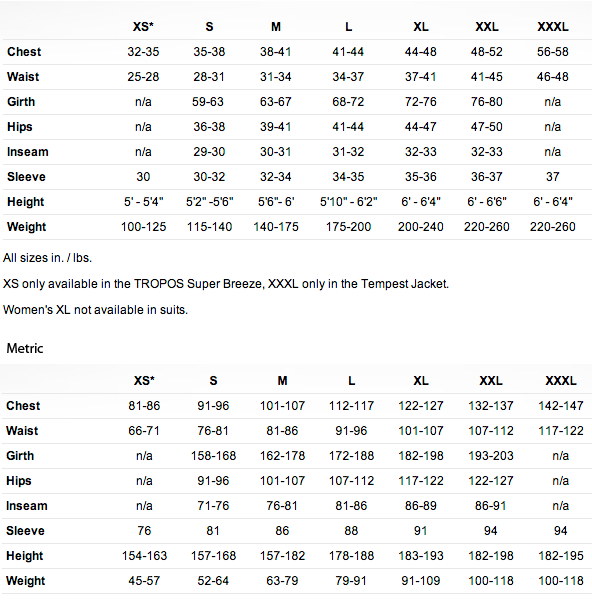 If ordering a XXL you MUST check the XXL Surcharge box above.